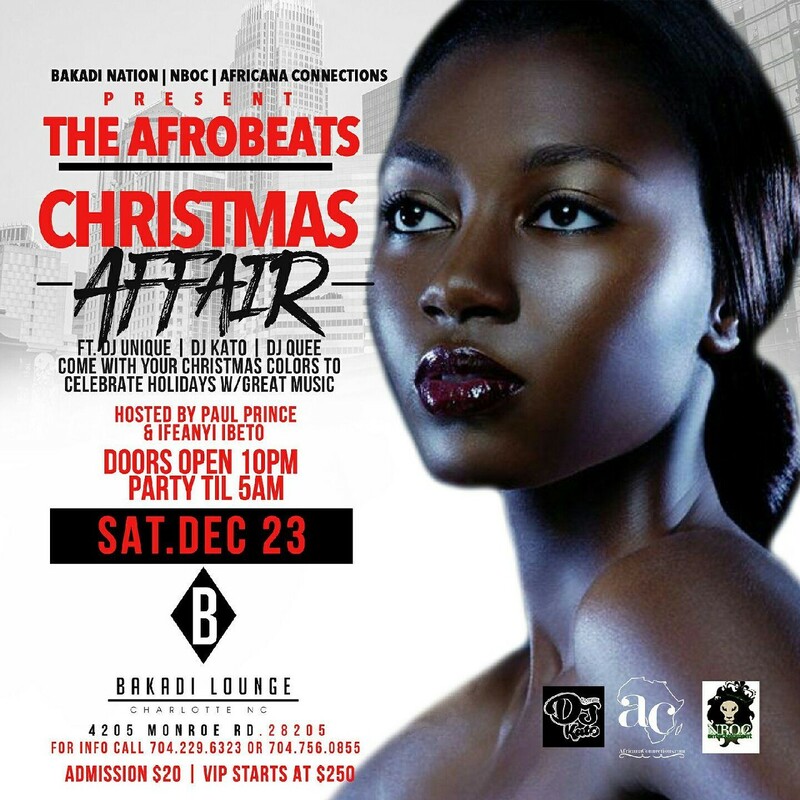 NBOC Entertainment & Africana Connections are back with another special experience just in time for the holidays! 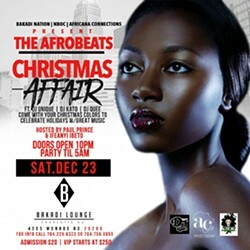 What better way to celebrate the day before Christmas Eve than party in style Bakadi Lounge! Hosted by Charlotte's own Paul Prince & Ifeanyi Ibeto; Tunes curated by The Dynamic DJ Kato, DJ Unique & DJ Quee - insuring the dopest Christmas vibes. Doors open 10pm - and we go until LAGOS time.